This approx 9.5" x 13.5" x 4" package contains balsa wood blocks, sheets and sticks of various sizes. Contains approx 2_ board foot (400 cubic inches) of balsa. Random contents, no package has the same size balsa pieces. 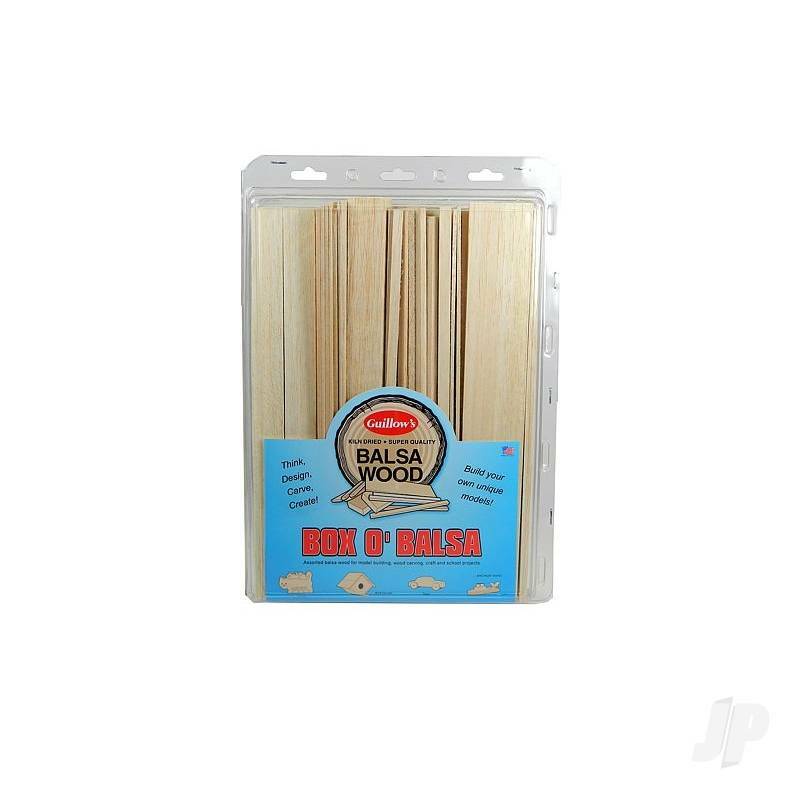 Balsa is a superior wood for all types of craft projects, it is very light yet has a high strength to weight ratio, cuts easily with only a hobby knife and is easy to stain or paint.